MIAMI—As South Florida runs short of developable land, some real estate developers, brokers and investors are increasingly finding new niche markets in fast-growing Central Florida. Fort Lauderdale-based BTI Partners, which focuses on opportunistic and value-added real estate investments, is among them. BTI is developing a 52-acre mixed-use community in the Tampa Bay area, a 2-million-square-foot condo hotel resort west of Walt Disney World in Orlando and a 103-acre planned community in Davenport, between Tampa and Orlando. 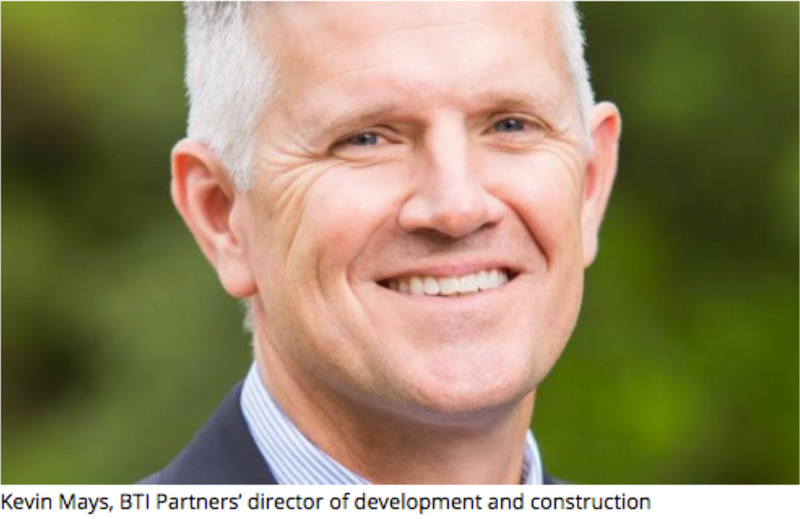 GlobeSt.com caught up with Kevin Mays, BTI Partners‘ director of development and construction, to discuss the need to find new horizons for development in part one of this exclusive interview. GlobeSt.com: What got a Fort Lauderdale-based investor/developer’s attention to acquire ready-to-build land in Central Florida? Mays: BTI Partners is constantly looking for the next hot real estate market so we can get in the game early. A few years ago, we began analyzing different markets in Florida and started to see clear trends in terms of job and population growth. Tampa and Orlando were two rising stars. When the Great Recession caused land values to collapse, we came up with a strategy to acquire thousands of acres of ready-to-build land in key parts of Florida, including those two important markets. We took two years to develop a strategy that, ultimately, allowed us to get title of nearly 8,000 acres of land with most of the infrastructure already in place. Once the housing market came back, we sold some of that land to large builders such as Lennar/WCI, Standard Pacific Homes, and others. But we also kept several master planned community sites, which we are developing ourselves and/or bringing multifamily, single-family-home, retail, apartment and hotel developers to co-develop the sites with us. For example, early this year we sold 8.5 acres of land within our Westshore Marina District master planned community in Tampa to Related Group to build a luxury rental tower. Last month, we sold 30 acres within the 103-acre Posner Park master planned community near Orlando to a partnership led by Intram Investments Inc. to build retail. The area around Posner is seeing a construction boom so we are moving forward with the development of that site, which we expect to complete in two to three years. That project is strategically located between Orlando and Tampa so the future homes will cater to both markets. Central Florida is where a lot of the growth is happening so real estate developers are still finding value-add opportunities. GlobeSt.com: As the real estate cycle evolves, what does BTI Partners envision for some of its Central Florida developments? Mays: BTI is allocating a lot of resources to Posner Park. The proposed community is located at the bustling interchange of I-4 and US-27. The site is about an hour from Tampa and minutes away from Orlando so the community will cater to people working in both cities. The area also benefits from the more than 60 million visitors who come to Central Florida every year. Development around Posner is flourishing so we are actively looking for partners to co-develop the site with us. In Orlando, we recently opened The Grove Spa & Resort, one of the country’s largest new condo hotel developments. Three miles from Walt Disney World Resort’s Western Way entrance, The Grove is the first hotel of its kind to open on the booming west side of Disney. We were fortunate to have entered that submarket before the construction boom began. The Grove opened in April with 184 of its 878 condo hotel suites, as the multi-building resort will open in phases. We are also very bullish in the Tampa market. BTI has been building in South Florida for nearly 50 years and Tampa is where Miami was two decades ago, when opportunities were abundant for developers with a vision. We are currently in the early stages of developing Westshore Marina District, a 52-acre master planned community on the waterfront for the public to enjoy. The mixed-use development will include for-sale and for-rent residential units, a waterfront park, retail and restaurants. Early this year, Related Group acquired 8.5 acres within our planned community to build a luxury rental tower. Soon, we plan to sell another portion of Westshore Marina to a national homebuilder.